The vision for Innovation Square is to create a technology, science, research oriented development in effort to both retain and attract intellectual capital within our community with the broader goal of economic development and diversification of our economic base. 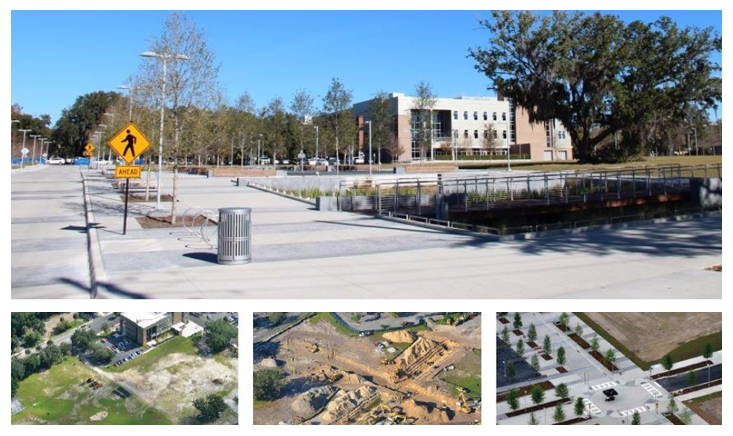 The Gainesville Community Redevelopment Agency, in partnership with the University of Florida and City of Gainesville saw an opportunity to reclaim 16-acres of land located between Downtown and the University of Florida and transform it to the live, work, play environment for which companies are looking for today. The central role of the CRA is to make appropriate development as easy as possible to accomplish; removing roadblocks to doing the right thing. 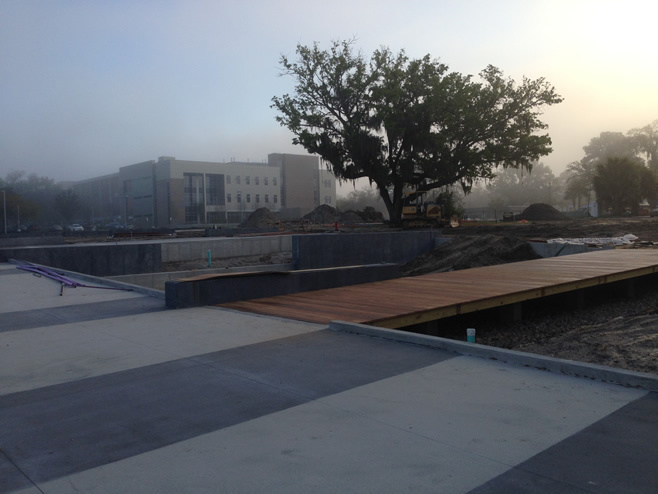 The first step in the execution of Innovation Square was the rezoning of the area to the new UMU-2 zoning category. This new zoning designation defined development and density patterns within the area to support the vision. The simplified zoning was adopted in 2010. Also, during 2010, a development framework was created to guide the implementation of the Innovation Square and larger Innovation District. For more information on the overall vision for this area, download an overview of the development framework here. The plan creates a simple and clear relationship between a long-lasting public framework and a flexible private development process. The CRA spearheaded infrastructure studies during 2010 and 2011 to better understand the existing infrastructure within the area, and what upgrades and additions would need to be planned in order to support a denser urban development pattern. These infrastructure studies led to the creation of an infrastructure Master and Phasing Plan for the area. In June 2012, the CRA began the design of two new roadways to bi-sect the former superblock into more walkable sizes and to plan for the construction of infrastructure within Innovation Square. The premises behind the roadway projects is to have the infrastructure pre-installed so that developers can just “plug and play” their buildings into the system. SW 9th Street is the signature corridor within the district and features cascading bioswales, a unique concrete roadway design, parks, and other environmentally sustainable features. SW 3rd Avenue is the service corridor for which back-of-house functions associated with building developments will occur. During the design of both roadways, careful attention was paid to the creation of a comfortable pedestrian and vehicular realm, while the entire infrastructure underneath the pavement will allow future developments to work. In 2013, a comprehensive parking analysis was performed and a strategy plan was developed. The report is available for download here. Interdepartmental collaboration for future strategic planning.